How does a Unique Value Proposition help you to stand out from your online competition? The internet is overflowing with direct competition, no matter the industry; even in the relatively tentative Adelaide market. New websites are being developed and launched daily to further add to this online quagmire, making it that much harder to be noticed. So how does your business brand stand out from its competitors? If you’re familiar with some of the other Argon blogs, you’ll know your website needs to be meticulously planned, thoughtfully designed and skillfully developed to give your business the best chance of being discovered. Adding to this, you should have a Unique Value Proposition (or UVP) that speaks directly to your target market, helps engage ideal clients and exposes your products and services on-screen for longer periods. A UVP states the benefits that your company offers, how you solve your customer’s needs and distinguishes you from your competition. One thing a UVP is not is a throwaway tagline or slogan. ‘I’m lovin’ it’, ‘Think different’, ‘Just do it’ and ‘Because you’re worth it’ are all soundbites that, while they are catchy, don’t say anything about the business. In basic terms, you are trying to establish why you are a better choice for your target market than your competitor. Do your ideal customers worry about price? Are they only interested in superior quality? Are your products or services a necessity for them to survive? Or are they more concerned being ‘on trend’? The hardest part is narrowing down your distinguishing features to a short, succinct summary. It’s easy to get carried away trying to include too much content. You have to be ruthless. You don’t want prospective clients losing interest mid-sentence. Let’s use Argon’s UVP as an example. 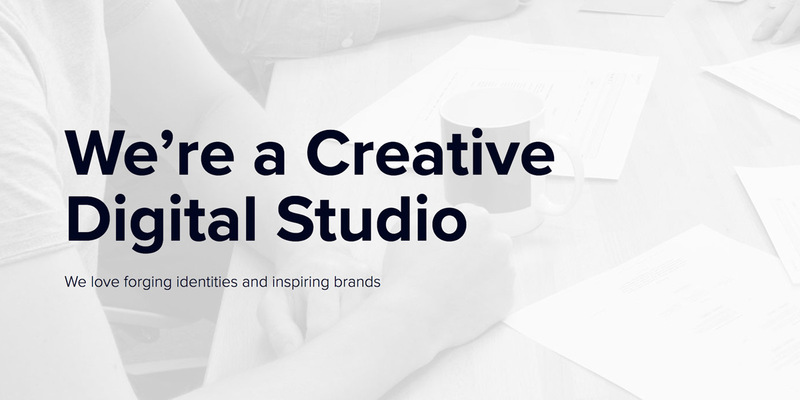 Our UVP begins with the bold, but simple, statement “We’re a Creative Digital Studio”. It doesn’t get much more straightforward than that, but it clearly introduces what we do. This is followed up with the statement “We love forging identities and inspiring brands”. We thought a great deal about the personable language we typically use, our positioning in the design industry and the services we offer; specifically branding and web-based projects. From there, we head into information about the company or a wider list of services, but it’s that initial impact that engages the viewer. Having a truly Unique Value Proposition allows you to speedily convey your message to prospective clients, while assisting in accomplishing your marketing goals. Why is my website not on the first page of Google?